As the drone popularity keeps growing, so do the number of regulations. Experts say it�? ?s important to know the rules, including how to register the drone with the federal government. Beginning Monday, all drones and unmanned aircraft will have to be registered through the Federal Aviation Administration. This includes aircraft as small as 0.55 pounds up to 55 pounds. Concerns over safety and privacy with the use of the unmanned aircraft have been one reason the federal policy has been put in place. You can register the aircraft by visiting FAA.gov It�? ?s free for any registration done between December 21st and January 20, 2016. Those who don�? ?t comply with registering their drone can face a fine from the FAA of up to $27,500. 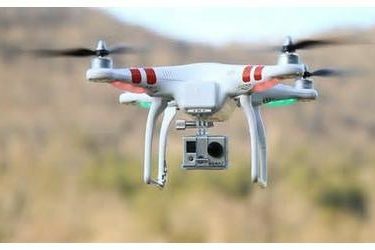 Criminal activity associated with the use of a drone or unmanned aircraft can net you a fine of up to $250,000 and even jail time.